I shall be doing a few Christmas markets and sales in the run up to Christmas, some under my name and some under the guise of Pressed & Folded. I will have prints, books and lots of Christmas card packs at very special prices. It would be lovely to see you at any of the following markets. I worked with The Good Life Experience to design this set of four souvenir postcards. The typography was designed to work over vintage postcards of the Hawarden Estate, updating these fantastic images for a brilliant weekend of discovery, adventure, music, books, ideas, workshops and the great outdoors! 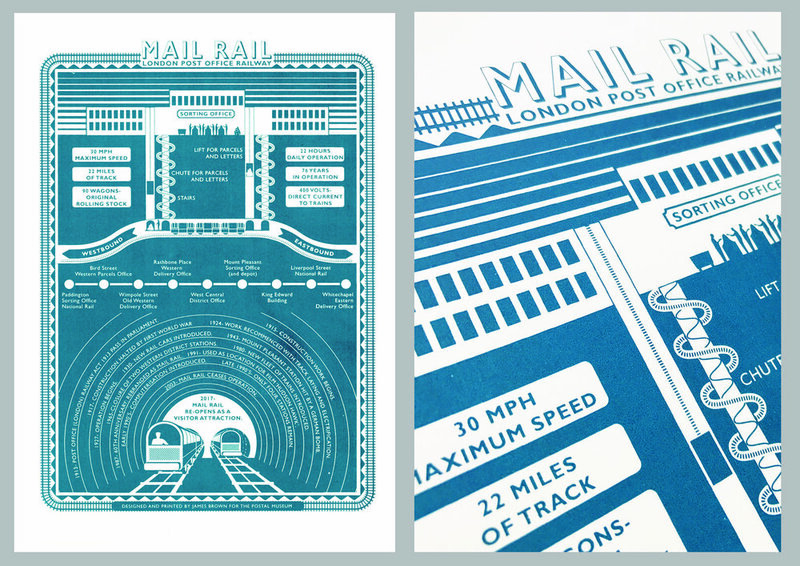 Earlier this year I was approached by The Postal Museum to design an information print detailing the history and facts about the brilliant Mail Rail. 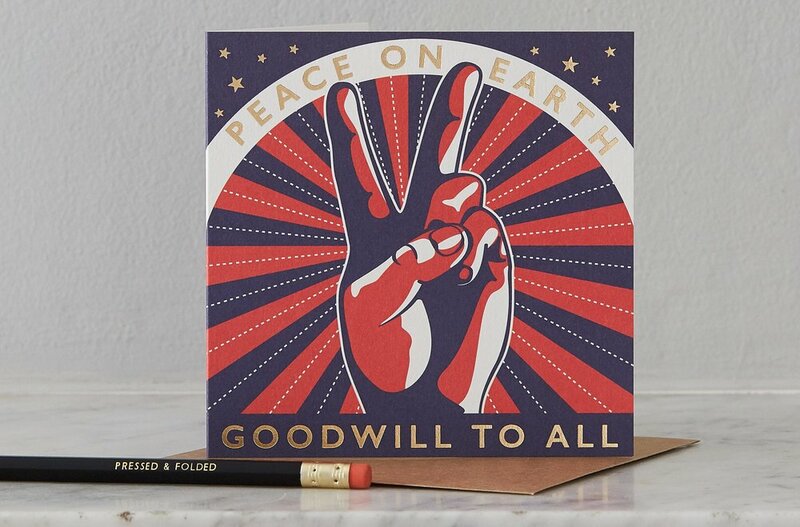 The screen print is a available from the Mail Rail shop and will be in their online shop later in the year. Operated from 1927 until 2003 The Post Office Railway, known as Mail Rail was a 2 ft narrow gauge, driverless underground railway that moved mail across London. In September 2017 The Mail Rail reopened as a visitor attraction, I was lucky enough to be able to take a ride, it is absolutely brilliant, such good fun. Find out more about Mail Rail and book your tickets here.